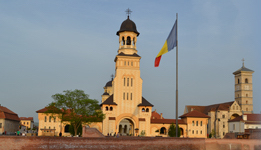 Announcing the Fifth International Conference on Onomastics Name and Naming: The event will be held September 3-5, 2019, in Baia Mare, Romania. It will focus on “Multiculturalism in Onomastics”. Further information about the conference can be found on the ICONN 5 website. Multiculturalism is a more and more prominent topic in contemporary international public space, whether one considers it in relation to politics, religion, ethnicity or culture. In what onomastics is concerned, multiculturalism appears in all its subfields. In toponymy, for instance, in multi-ethnic areas there are names with etymologies from different languages; when analysed in diachrony, these names testify to the history and geography of the places in question. 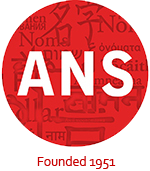 In anthroponymy, the multicultural element is associated with religion, ethnic belonging and the onomastic fashion of a certain age. In ergonymy, multiculturalism mirrors the configuration of the present-day world, in which globalisation determines the existence of an increasingly diverse landscape, as regards names of companies, brands and products. ← The Changing Place Names of Washington, D.C.